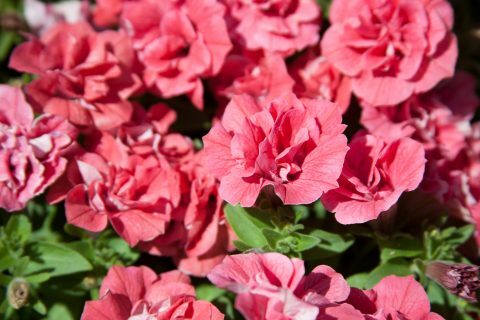 While most petunias don’t fare well in weather, Summer Doubles™ offer extraordinary heat and rain tolerance. They also flower earlier than other doubles and start blooming in small pots. They have a tight, mounding shape with many branches and are uniform across the colors – Pink, Rose, Salmon, and White.